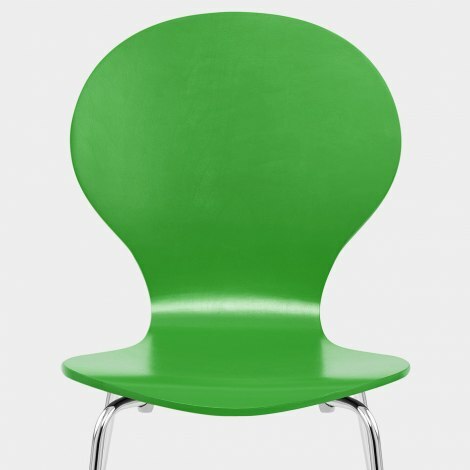 Contemporary and minimalist, the Candy Chair Green has a clean, understated design that is sure to flatter any room with its vibrancy and style. A functional model with a great modern look, the Candy is a fail-safe choice for the dining room and more. 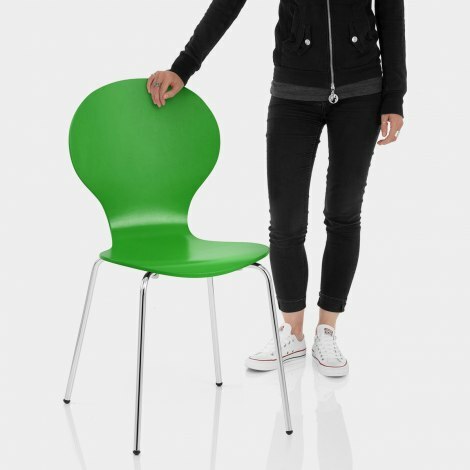 Formed of solid wood with a vibrant green finish, the seat and backrest are combined in one sleek curve, which is ergonomically designed for your support. Not only stylish, but practical too, this model can be easily stacked to save space. Slender legs of modern mirrored chrome support the seat, finished with rubberised plugs to help to stop this model from damaging your floors.